So thrilled to be a part of the group that was honored by BECU! Thank you to everyone who voted and promoted St. Stephen Housing Association and to Vicki Kennerud for nominating us! We received our $15,000 grant during an inspiring night with 16 other amazing non-profits doing incredible work here in Washington. We are so excited to use the money to continue to help struggling families find housing and stability. 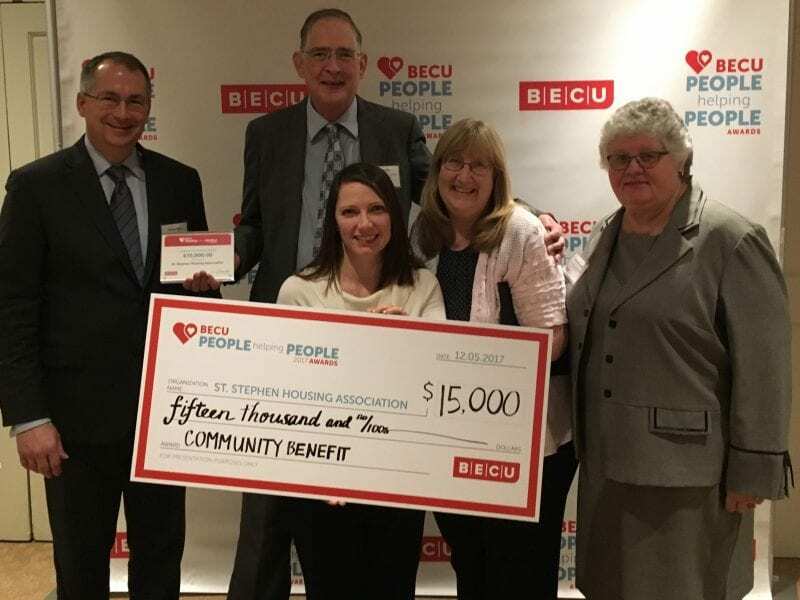 Thank you to BECU for being such a strong supporter of families in need!